Food consumption is slowly transitioning from junk instant to healthier alternatives. Just like fashion, the oldies but goodies are having a comeback. Food dehydration is not a new concept. It has been part of food culture and tradition as far back as people can remember. However, food dehydration now is easier and can be done at home. It used to be that food dehydration is done in an open area with ample sunlight or in a manufacturing plant using industrial food dehydrators. This is done to fruits, vegetables, and meat products, including fish. Food dehydration is done to remove most of the moisture of the food, making them tastier and more nutritious, yet less prone to spoilage. This process preserves the food without using any additives. In the past years, food dehydration has made its way into the American homes. 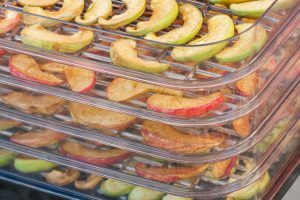 Commercially-produced stackable and shelf type food dehydrators have become available at a reasonable price. People have started to appreciate all the benefits of these food dehydrators, and have embraced the reasons as to why buy a food dehydrator. When someone is asked for a snack, one of the most common responses is to grab a pack of chips from the pantry. 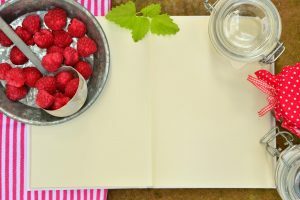 People undeniably love finger foods that they can eat while doing something else like watching movies, reading, or working in front of the computer. Junk food has become a part of everyday lives of many individuals. 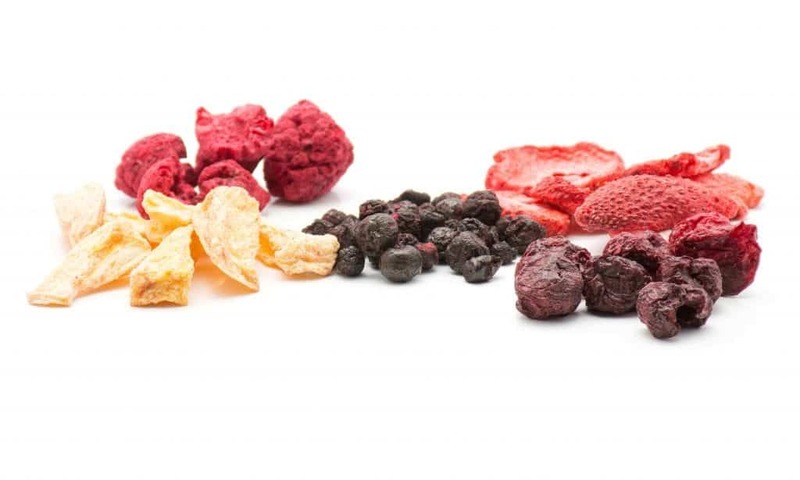 There is an option to have dried fruit and vegetable chips from the grocery store, but these are usually more expensive than chips. 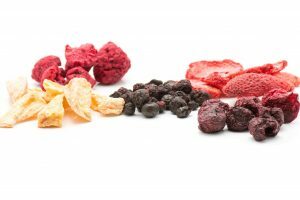 Having a food dehydrator at home makes fruit and vegetable chips readily available without having to spend too much. 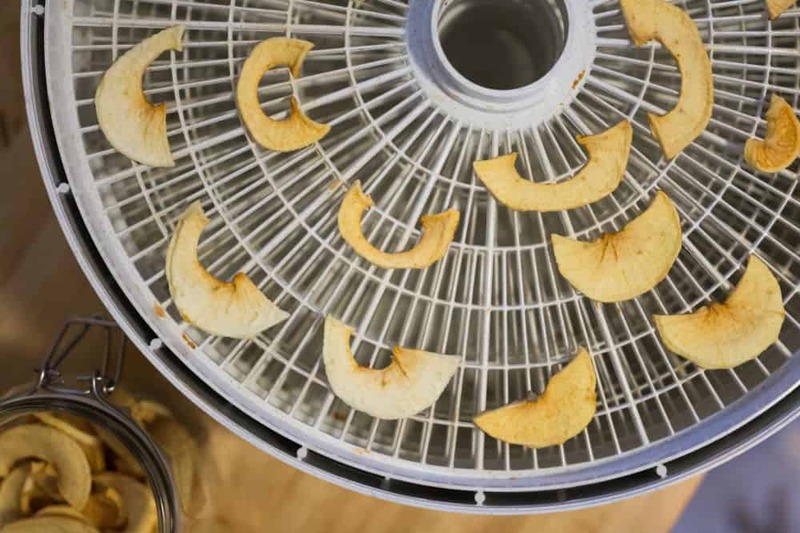 Adults and children alike can start snacking banana chips and dried mangoes from their very own food dehydrator. 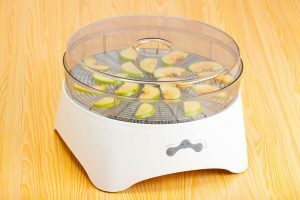 Speaking of mangoes, another reason for getting a food dehydrator at home is because it allows for enjoying even seasonal fruits any time of the year. Mango is a seasonal fruit, and there are a lot of people who love it. People who want it all year round can opt to dry it while it is in season and consume the dried mangoes the rest of the year. 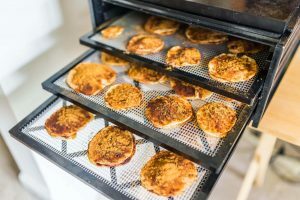 There should be nothing to worry about in terms of taste, as food dehydrators, as long as properly cleaned and maintained, preserve the flavor and nutrients of these foods. Food dehydrators only reduce the moisture of food, nothing else. 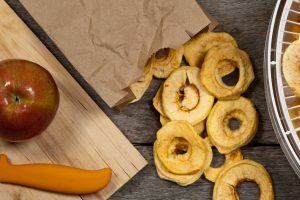 Because seasonal foods can be preserved through dehydration, excess fruit and vegetable harvests can be dried instead of letting them rot or spoil if families don’t have anyone to give them to or share them with. This is especially helpful for people and families that have a small garden or farm. It used to be that storage and preservation is only done in the fridge or by using chemical preservatives, but these do not prevent rotting in the long run. Dehydrating food preserves them for consumption even after several months as long as they are correctly processed and stored. 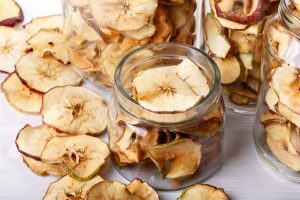 As aforementioned, dehydrating foods make them more flavorful as most of the water in them are removed during the process. This results in more flavorful toppings to dishes. For instance, dried tomatoes, onions, and pepper make more delicious casseroles. In addition, well-dehydrated fruits and vegetables are easily and perfectly rehydrated when they are cooked to make soup. They go back to their original form and shape, but with better and stronger flavor. This means that it will not take so much of them to make yummy soup dishes. 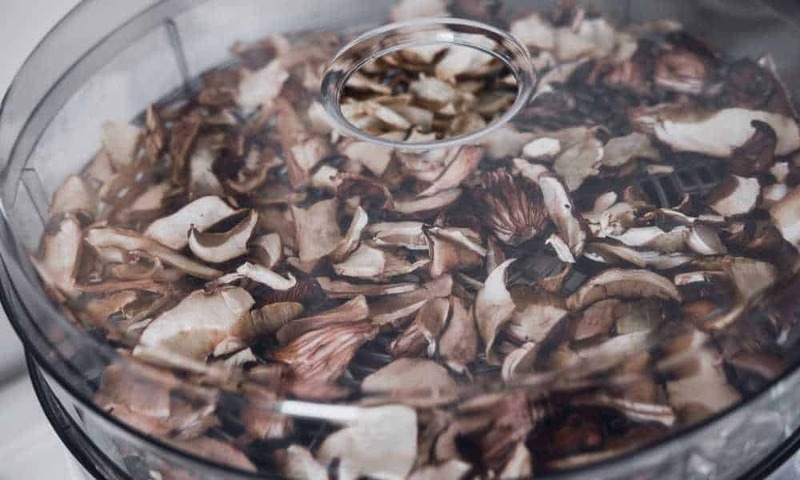 There are a lot of ways having a food dehydrator at home saves families money. First, they don’t need to buy ingredients often since they can stock the dehydrated foods to be readily available for several months. Second, they are not tempted to buy snacks every time as they can have healthy chips ready to eat at home. Third, they are not wasting any excess food since they are able to preserve them using the food dehydrator. The list can go on and on. Getting a stackable or shelf type food dehydrator can benefit the home significantly in terms of finances. Dehydrated foods are obviously smaller than their original form. They can be put in jars and canisters easily. This makes the kitchen look more neat and organized. There is nothing to worry about when it comes to the taste and quality of the fruits and vegetables as they can be rehydrated as needed. Some people think that stackable and shelf food dehydrators could be a pain to clean. However, as long as users don’t let the stains stay in them for a long time, they are very easy to maintain. Users only need to wipe them clean after every use, if possible and remove food residue and debris using a spatula, Q-tips, and canned air. 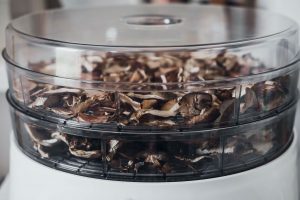 To maximize the benefits of having a food dehydrator, it is important to consider which type will suit the family’s lifestyle and budget. Stackable food dehydrators cost less than shelf type, but they do not distribute heat evenly since the heating element is either at the top or bottom of the stack. 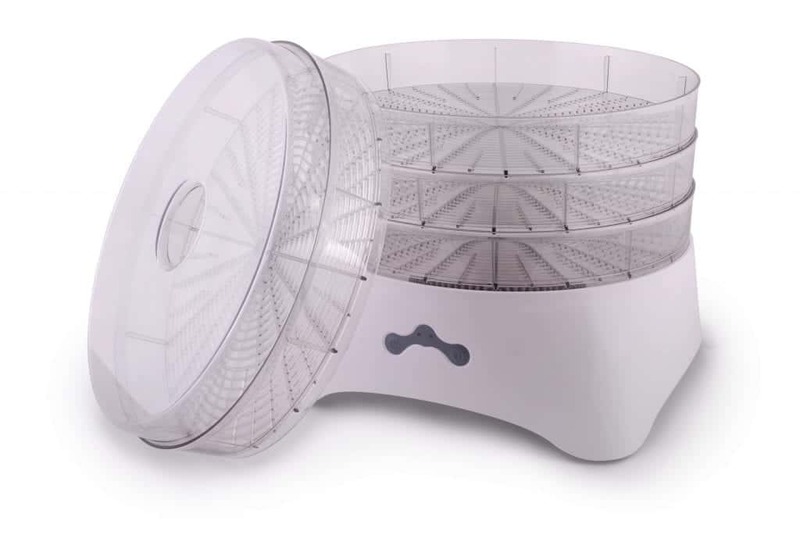 Users would need to rotate the trays for the food to dry evenly. On the other hand, shelf type food dehydrators are more expensive, but they are able to dehydrate more efficiently. They can even dry meat to make jerky. If someone asks, “Why buy a food dehydrator? ─these are some of the reasons that can come in handy. However, there are a lot of other benefits to having a food dehydrator at home. People just have to try it to believe it. 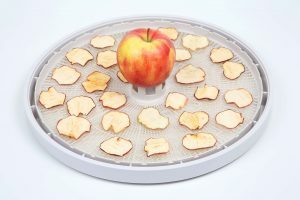 Flexzion Fruit Dehydrator: The Best Fruit Dehydrator?